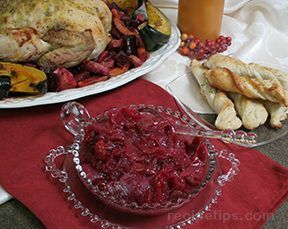 Using food processor, chop cranberries to relish consistency. Remove from processor and place in bowl. Quarter and remove seeds from two unpeeled oranges. Peel third orange and quarter and remove seeds. Place oranges in food processor and finely chop. 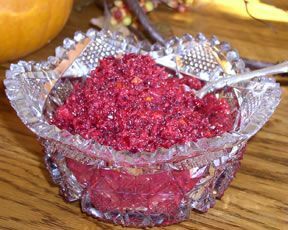 Add to cranberry relish. Add 1 1/2 cups sugar and taste. If needed, add more sugar. Add chopped pecans, stir well and enjoy. **NOTE: Can be made with Splenda or other artificial sweetener.